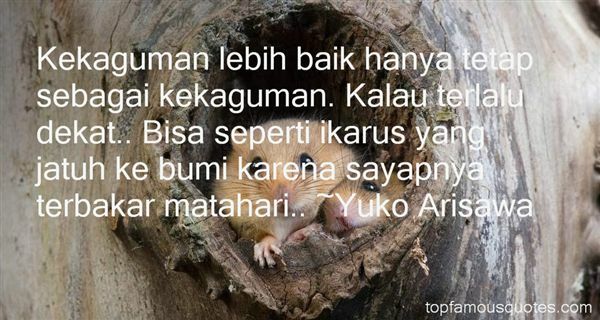 Reading and share top 1 Yuko Arisawa famous quotes and sayings. Browse top 1 most favorite famous quotes and sayings by Yuko Arisawa. For pragmatic reasons, I love the routine. I love the structure of it. I love knowing that my days are free. I know where I'm going at night. I know my life is kind of orderly. I just like that better."